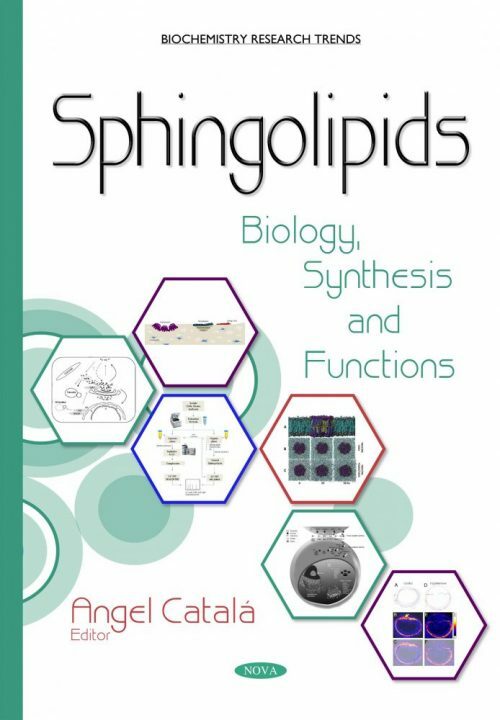 This book presents an overview of sphingolipids: biology, synthesis and functions. The topics analyzed in this book cover a broad spectrum of functions played by sphingolipids including: the role of sphingomyelin in the regulation of membrane physical state; tricyclic antidepressants as modulators of sphingolipid turnover and cell sensitivity to insulin action; sphingolipid diversity, biosynthesis and regulation; metabolism of glycolipids at the cell’s surface: modulation and functional implications; the specific role of sphingomyelins in cell physiology; the role of sphingosine-based lipids using sphingolipidomics; sphingolipids and ceramides of aqueous humor and trabecular meshwork; the effect of membrane microdomains containing sphingolipids on lipid peroxidation; and roles of sphingolipids in skeletal development and homeostasis. Unraveling the Specific Role of Sphingomyelins in Cell Physiology: Where Are We?